Britain vs. USA – Which Political Leader Has the Best Car? The once dubbed “special relationship” between Britain and the USA has always been a contentious subject. Love it or hate it, the similarities and differences between our countries always makes for interesting reading and keep the public engaged. Often the UK and USA are compared on things like foreign policy, economic growth, health figures and quality of living. However this time we’re making it personal…ish, by pitting the Prime Ministerial Car against the Presidential Car. Who will come out on top? Read on to find out and make your judgement as the cars are put head to head by comparing their features, security capabilities, cost and appearance. Refined, sophisticated and polite are all words that could describe the stereotypical British citizen. Funnily enough the very same qualities can be used to succinctly describe the prime ministerial car pictured above. The current model is a specially armoured Jaguar XJ Sentinel. 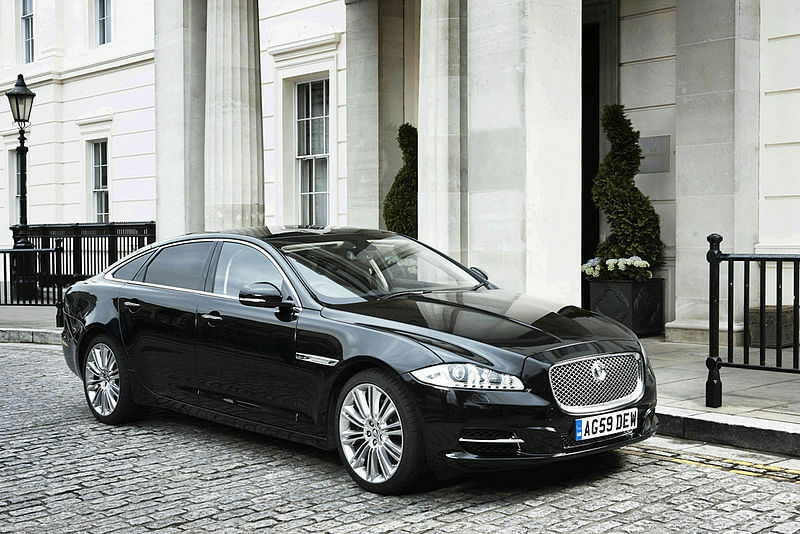 The Jaguar XJ has been the car of choice for transporting prime ministers for years now. The XJ was also the choice of Gordon Brown, Tony Blair and John Major. Estimated cost – up to £300,000. Supercharged 5.0 Litre V8 Engine. Top Speed 121mph, 0-60mph in 9.4 secs. HD television systems with Dolby 7.1 surround sound. Conferencing and communication systems with multiple connection mediums. Temperature regulated rear passenger massage seats. 13mm explosive resistant steel plating fitted to the underside of the vehicle. Interior cabins are lined with titanium and Kevlar. Reinforced windows with bullet resistant polycarbonate glass. Gun ports which allow 1 way fire from within the vehicle to outside. Independent oxygen supplies to protect passengers from chemical and bio-weapon attacks. Large, loud and proud are words that often come to mind when thinking of the American people. The presidential car of the USA (pictured above) not surprisingly has many of the same loveable qualities. The current model, nicknamed “the beast” is a custom built design from General Motors, it carries similarities to the Cadillac DTS but is varied enough to separate itself from this production model. Each production of “the beast” is thought to cost anywhere from around $300,000 to $1,500,000 depending on the source. It goes all out and takes no chances on any fronts, looking at the list below you’ll see that it’s built more like a military vehicle than a road car. Estimated cost – $300k to $1.5m. V8 Engine with C-6 three speed automatic transmission. Integrated conferencing and communications centre. Run-flat tyres reinforced with Kevlar. Independent oxygen supply from a reinforced tank. Boot space contains a blood bank containing the president’s blood type. 8 inch thick armour plated doors and 5 inch thick bullet resistant window glass. Blast resistant under plate armouring & bullet resistant fuel tank. 18 feet in length and seats 7 individuals. Looking at things from a price perspective Britain definitely takes the title. Most sources state that the US presidential car costs over $1,000,000. However with specialised vehicles like these you have to ask if cost is really the most important factor? When deciding which is the better car it’s a genuinely tough choice (especially whist trying to remain unbiased and not wave the Union Jack). 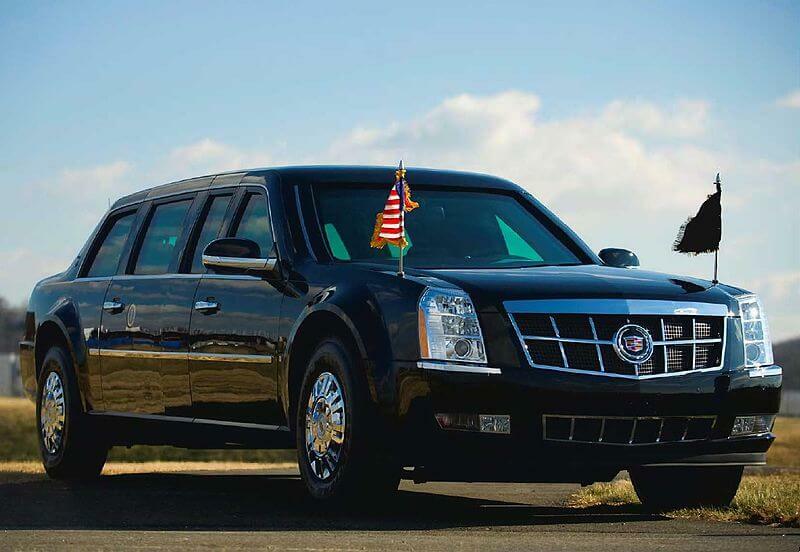 In terms of protection the bulky stretch limousine of the US president is much better equipped. You can’t deny that it is quite possibly the most protected vehicle with windows on the planet. Nothing is getting through and there’s an entourage of bodyguards with guns on the inside. The prime ministerial car however is much better built for comfort with heated massage seats, great quality televisions and a cinematic surround sound system. That’s not to say that it can’t protect itself; but it’s nothing like “the beast” that the president is driven around in. Both cars are probably best suited to their own cultural backgrounds. If David Cameron was to drive around in a reinforced stretch limo with flags on the front and a blood-bank in the back he’d be claimed a nutter by the press. In America attacks are a far greater threat; therefore such preparations are less laughable over there. In terms of appearance and design, both actually play to the high end of their own domestic markets. The fact of the matter is, what constitutes a premium car in both countries is greatly different. In the UK vehicle designers go for elegance, simplicity and trim lines. Whereas in the US it’s more about status and creating a visually loud spectacle using muscular and chunky designs. Which do you think takes the title? Let us know in the comments section! The Top 5 Movie Car Stunts Of All Time!